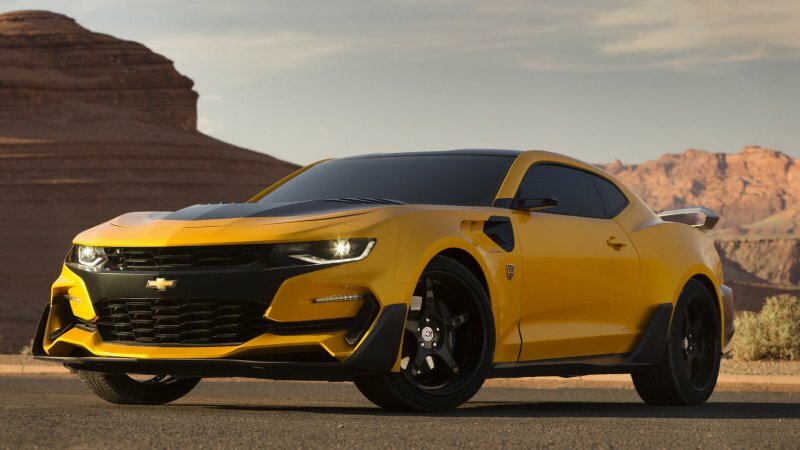 Bumblebee returns in the upcoming Transformers: The Last Knight, and this time, it will be based on the latest generation 2016 Chevrolet Camaro. Director Michael Bay shared a picture of the new Bumblebee on his Twitter account recently that features an aggressive body kit that includes a front splitter, revised side skirts, and a carbon fiber rear wing. The Camaro also has a unique front fascia with a split grille, air ducts, and LED fog lights. Other changes include a ventilated hood, front fender vents, and five-spoke alloy wheels with a black finish. Little is known about the latest installment of the Transformers franchise but Bay previously confirmed that Josh Duhamel will be reprising his role as Lieutenant Colonel William Lennox. He will be joined by returning actor Mark Wahlberg (Cade Yeager) and ‘newcomer’, Anthony Hopkins! Transformers: The Last Knight is expected to hit movie theaters a year from now so expect plenty of teasers in the coming months!